It is morning now. Ernie and Bert are in the bedroom. 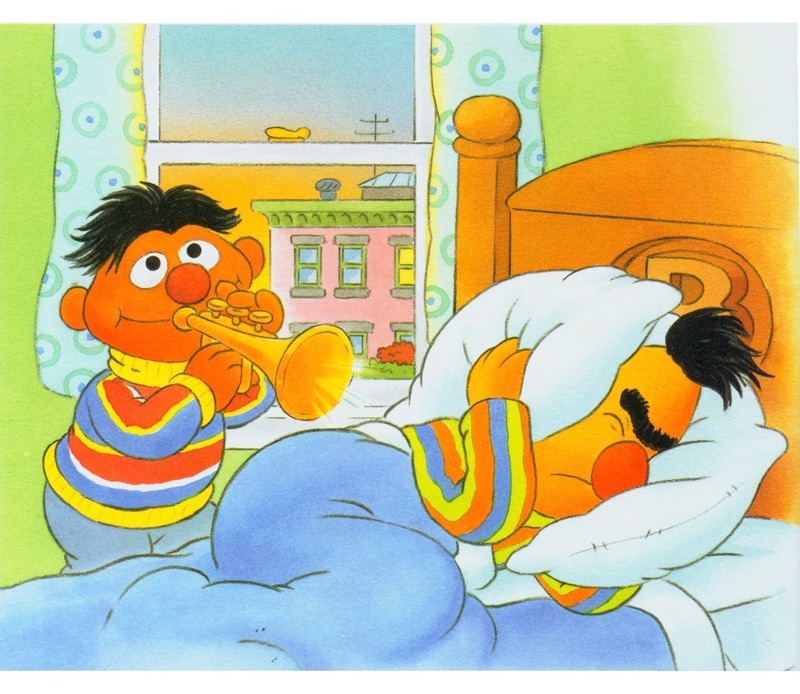 Ernie is playing trumpet and Bert is sleeping. But look at Bert’s face! He is not happy because Ernie is noisy. 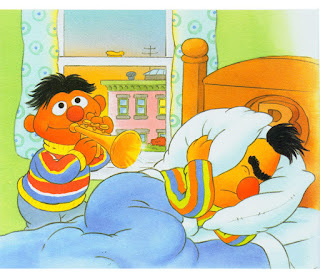 Bert gets up and he says “Ernie, don’t make that noise! Bert is very angry. Ernie says “OK.” So Ernie goes to park to play ball with Ernie’s friend. And now, Bert is very happy because nobody will make noises. And he will have a very good sleep.